Inform and entertain your spectators with videos on the scoreboard! Play your own videos on the scoreboard during breaks in the game! 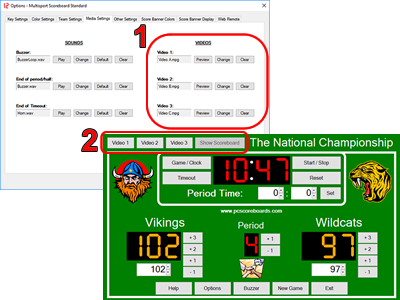 Video player is a feature available on select scoreboards that allows you to play your own videos on demand on the scoreboard. You can use this feature to display your sponsor advertisements, player intros, half-time clips, and more. 1. 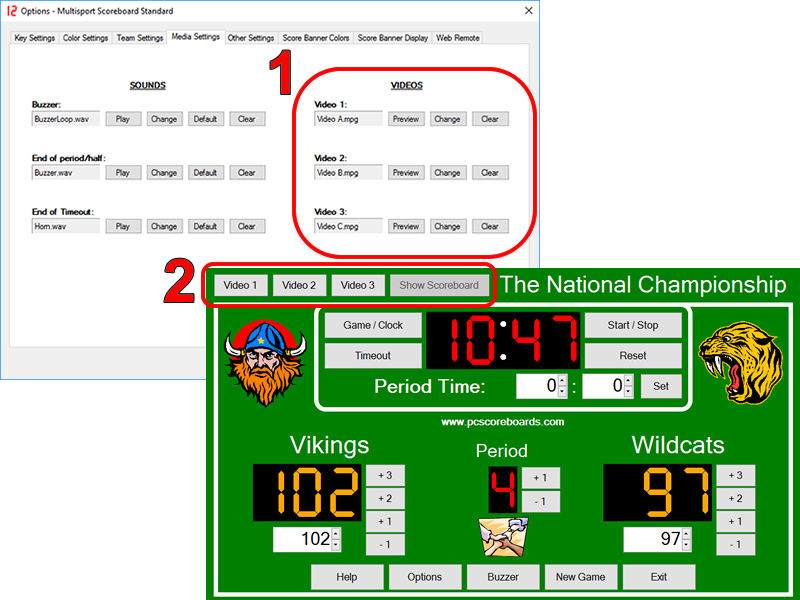 In the scoreboard options, choose the video files that you want to play on the scoreboard. 2. Play a video using a keyboard shortcut, control screen button, or web remote button (where available).